Set the stage; no matter if you are a brand, commerce retailer or service provider – all must create content to gain a competitive edge through inbound marketing. A brand, a product, a service provider all have a certain value to add to the consumer because they know their market, they know all the problems and probably have answered a lot of questions. These brands are experts, but to date many of these brands do not have a solid method of marketing to the consumer online, through channels outside of those that are traditionally promotional. As Google moves from Panda updates to the ever-present Hummingbird, the task has been set; brands must intermix content and commerce seamlessly. Many are not sure how to do this, leaving brands, commerce retailers and service providers left out of the conversation. In 2014, businesses in the digital space are expected to increase focus on content marketing by 29% over the previous year. 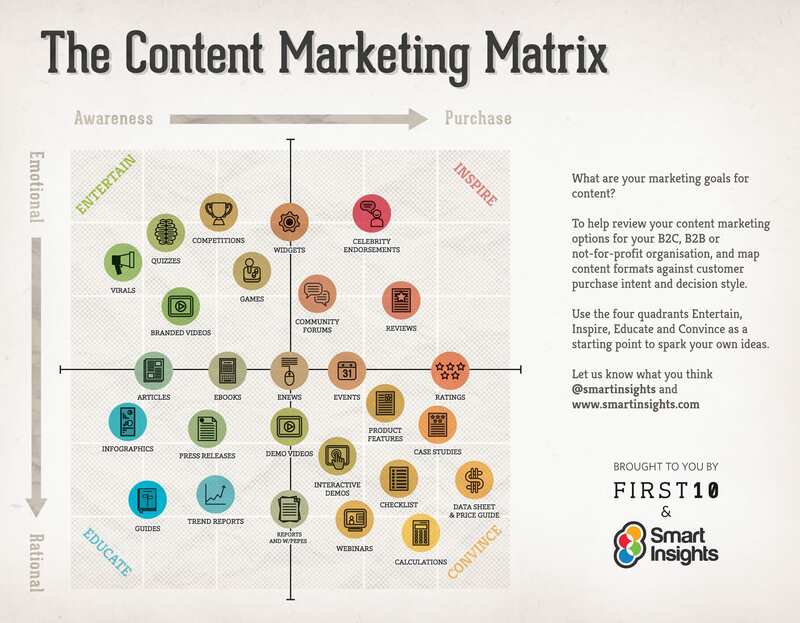 Content Matrix for generating ideas for your target audience. Having worked in publishing for over 10 years, the solution is clear; create expert content! Few brands have come to understand this, and it is likely because the leadership is not telling the right story of how to get there. For those of you willing to listen, and I will set up the framework from which you can tell the story as it relates to your brand, product or service. Knowing your audience and where they are on the web is key. Beyond that, knowing how they find you is even better. Have you considered doing an audit to determine what content or products are found the most often, and successful at driving traffic to you? Do they buy from you? Or contact you? Wait…. do you even have content? 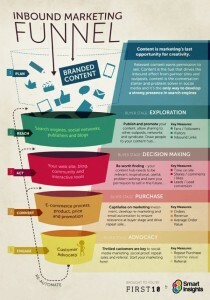 Here is a Smart Insights diagram showing the conversion funnel and some ways to think about content in funnels, so can reach the right eyeballs. Learn how to write content that converts in my upcoming online training course on SEO strategies for turning Content into Commerce. As marketing has evolved in 2014, content in the digital space has taken over. You need to think about your consumers in new and innovative ways. 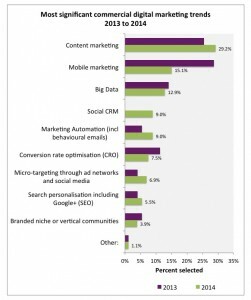 There are several frameworks for the conversion funnel, from these inbound marketing techniques, to the more traditional AIDA Conversion Funnel. Regardless of which approach you choose, it is important develop an action plan for what audience your content is targeting and what are the conversion goals tied to it. © SEO Training 2014 All Rights Reserved.